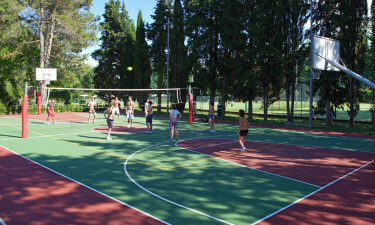 The luxury camping site of Parco delle Piscine is found within the rolling green hills of Tuscany. Make sure you’re informed on all the options for making your trip an unforgettable holiday and do not hesitate to contact LUX-camp. 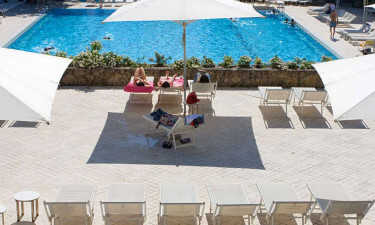 Why is Parco dell Piscine One of the Most Unforgettable Holiday Camping sites? 500 pitches to choose from. The ability to rent a quality mobile home. Modern amenities for all guests. The sense of camping luxury to be experienced here is heightened thanks to its inviting climate. Tuscany is known for its warm summers and relatively mild winters. In fact, this region is known for its innumerable cloudless summer days. This allows any family to enjoy a much-needed camping holiday during any time of the year. In addition, the amenable temperatures enable visitors to enjoy outdoor activities such as hiking, leisure sports and swimming. 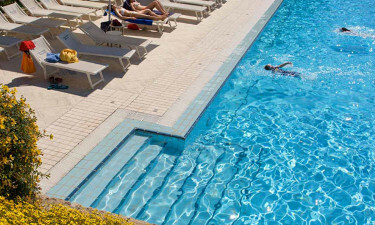 Parco delle Piscine is also known for its luxury camping conveniences. Guests are able to take advantage of free Internet connections (wireless), baby changing facilities and no less than 64 individual washing cubicles for added privacy. Power supplies to each mobile home as well as sanitary waste disposal locations are two other advantages not to be missed. Access to washing machines and tumble dryers is also provided for each family and all areas can be accessed by those with wheelchairs. Notice: The pool area is open from the 1st of July to the 31st of August. As the name of this luxury camping site hints, Parco delle Piscine boasts a number of aquatic activities that children and adults can enjoy. Two large open-air pools are ideal for anyone who wishes to stay close to their pitch. There is also a nearby lake for those who wish to get a bit closer to nature during their stay. The two on-site pools are supervised by lifeguards at all times and should the parents wish to take a dip alone, there is a play area dedicated to the needs of young children not far off. This holiday camping site provides its visitors with some truly unique examples of Tuscan cuisine. These wonderful dishes are certain to make a lasting impression upon anyone who has never partaken in such delicacies before. The settings within the restaurant are quite tranquil and those with children will be pleased to know that there is a menu to appeal to such young tastes. It almost goes without saying that it is always a good idea to head over to the bar to sample some local Tuscan wine. International beers and other tempting cocktails are also available. This bar is located quite close to the pool, so taking a cool dip is always a possibility. Those who wish to enjoy a traditional slice of pizza or are interested in takeaway dishes can head over to the pizzeria and taste some truly amazing local creations. To learn more about these and the countless other services offered by this luxury camping site, be sure to contact LUX-camp soon. The getaway of a lifetime indeed awaits!